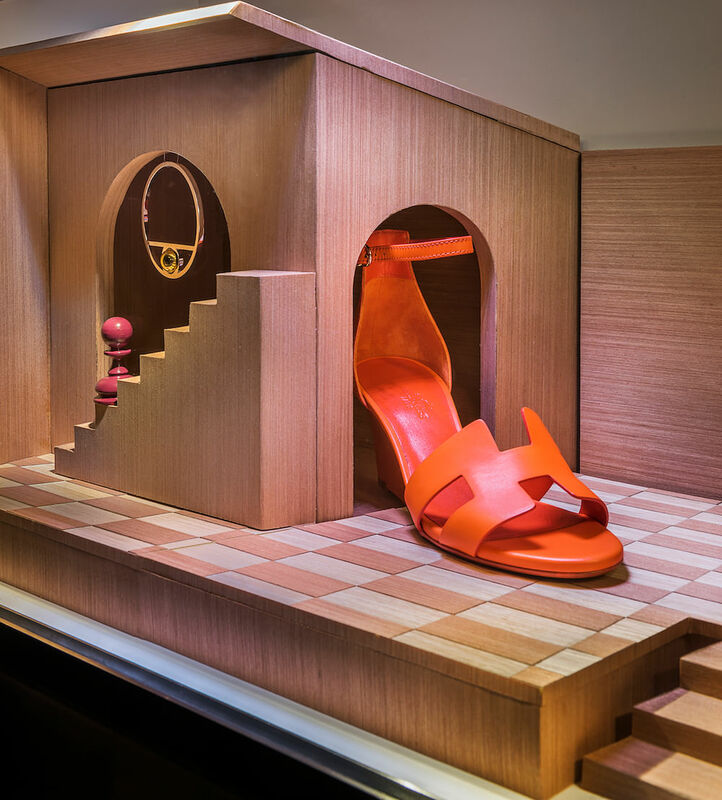 In Singapore, Hermès’ flagship store at Liat Tower has been chosen to display these imaginative installations since its reopening in 2016 and partners with three to four designers from around the world yearly to showcase their artistry. 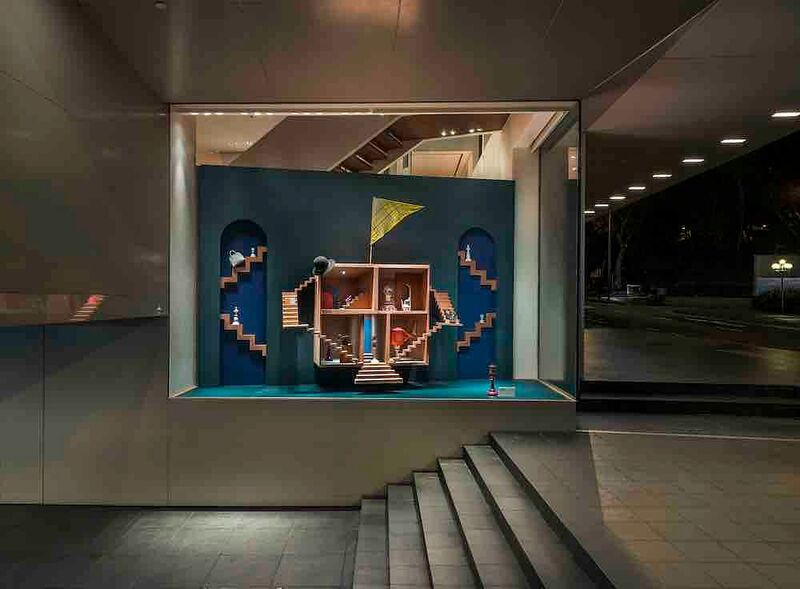 Rentsch, an Australian artist who has worked with brands like IKEA and the Museum of Modern Art, worked with Hermès for over six months to conceptualise and finish the window we see today, which will be displayed at the brand’s Liat Tower store from now till Feb 25. I studied Industrial Design at University and worked in that field designing products, spaces and installations for a good 10 years post-University. I moved to Berlin from Melbourne in 2009 and found myself unemployed for an extended period. So I started looking outside the box for work options. Eventually I was employed as a studio assistant for a 3D illustrator who made conceptual sets for photoshoots. It was like someone had opened a magic door to a reality I could only dream of, and by the time I made it back to Australia, I knew that was my destiny. Still life is a work where magic becomes reality. Anything you dream can be made real — as opposed to my previous existence where there were constant constraints, now, sets for photoshoots are an endless world of possibility. A: It gave me an understanding of how things are built and taught me to feel confident about building them. I have a firm understanding of materials and process. I can come up with an idea but also sketch it out, specify how it should be made and discuss problems with my build team. It gives me a very all terrain outlook on my job. A: In Passing – stems from several thoughts; the mere act of passing the work on the street. It’s an exchange — I like to visualise it as a quiet nod — the eye contact, even if only brief (in passing) will be a daily occurrence for an undefined number of strangers every day. It’s also the name of a chess move which ties nicely to the inclusion of the board and the players in the piece. 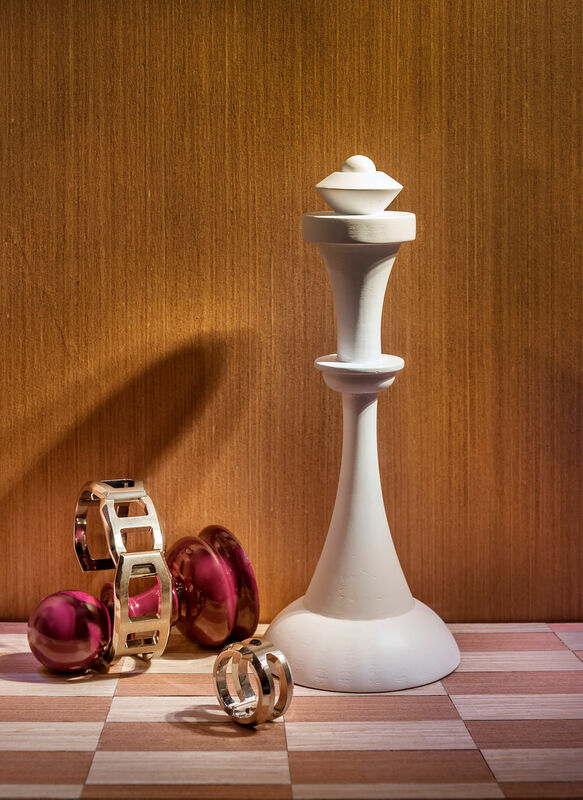 A: When Hermès briefed me, they sent a list of their own notions of play. 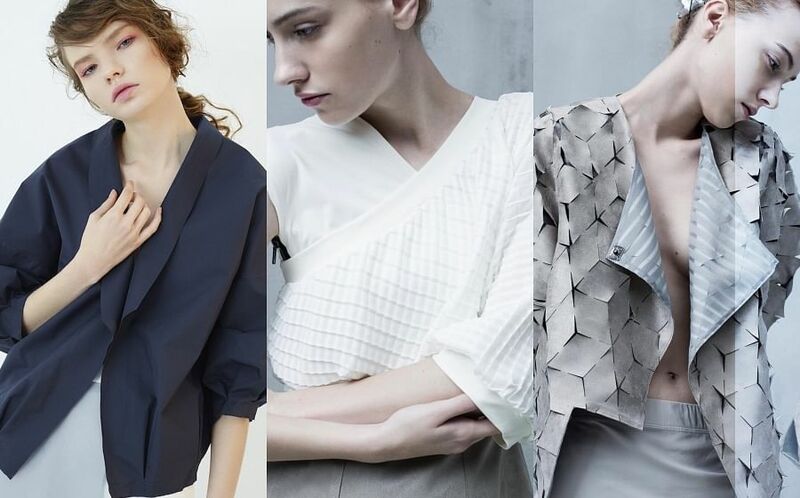 I pondered all of their inspirations and then my trip to Singapore, my career, my interests. I think so much of who we become as adults stems from those idealistic days of make believe. My notion of play and how I approach the world is very much rooted in those memories. I simply chose to share my playground with new playmates. 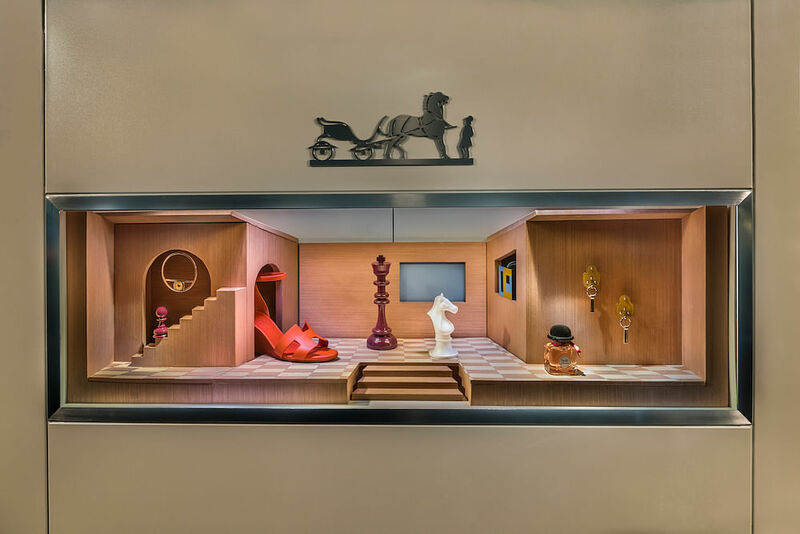 Q: Since En Passant is modeled after the doll house that your father built, can you share with us the background story and the importance of this doll house? A: Mining the formative memory of role play and how that action grew into a love of manipulating space is intriguing to me. That Doll House was my first blank canvas. It has walls, doors, windows but what happened within those spaces was up to me. When I was slightly older I had an obsession with the constant rearranging of my bedroom furniture. For someone who’s say 12, that’s clearly a further interest in spatial relevance and the emotions that altering it avow. The doll house was perfect but it lacked one important detail — stairs. A two story house minus stairs – how could it be! I’ve asked my father why he didn’t add them but he can’t recall. It’s so clear in my memory that they were absent. This was dad’s thing – details – and yet here was a gaping hole. Literally. 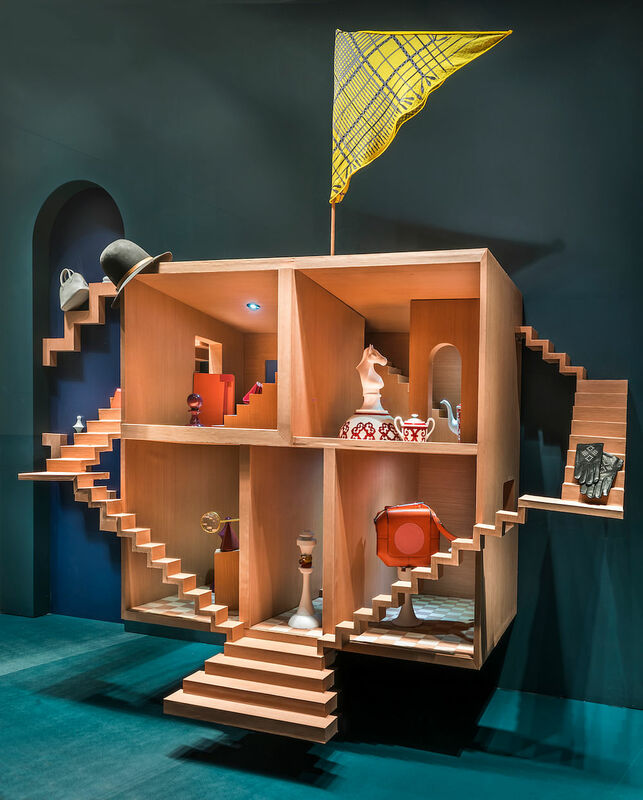 When I reconstructed the space for Hermès I thus added stairs with indulgence. I had been roaming the malls on Orchard Road going up and down without seeming end, getting lost in a maze of possibility. Those spaces reminded me of Escher drawings, the surrealism that they could possibly go on forever. Like my childhood imagined stairways, this isn’t the case, but I liked the connection between place and time. I hoped that when the audience in Singapore strolled by they too might make the connection to their own local experience but also ponder where those steps led. Possibility is the nicest feeling, why not attempt to evoke it. A: For me, Hermès is a purveyor of idealism – the company remains family owned and grew from a saddlery to a luxury house. 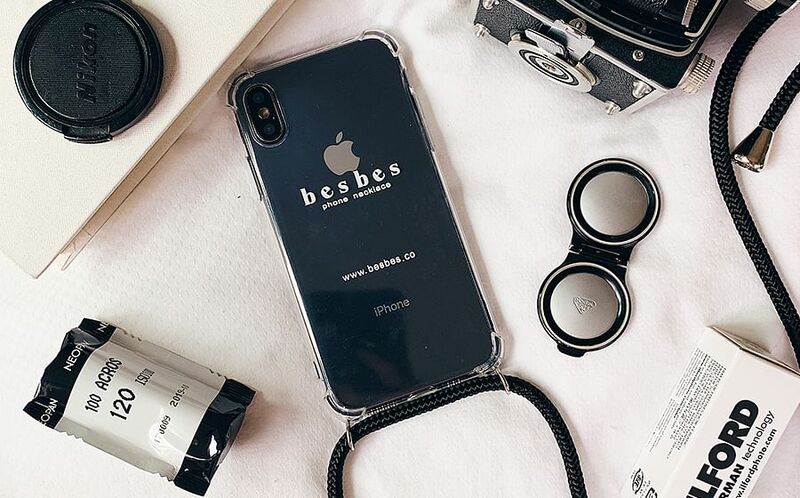 It reinvents its classic products to keep them fresh and inspires masses through its support of the arts and artists. By making my installation a personal story I attempted to share my own understanding of what it means to imagine great utopian things. It’s a hopeful reminder that small things have the possibility to grow into large things. 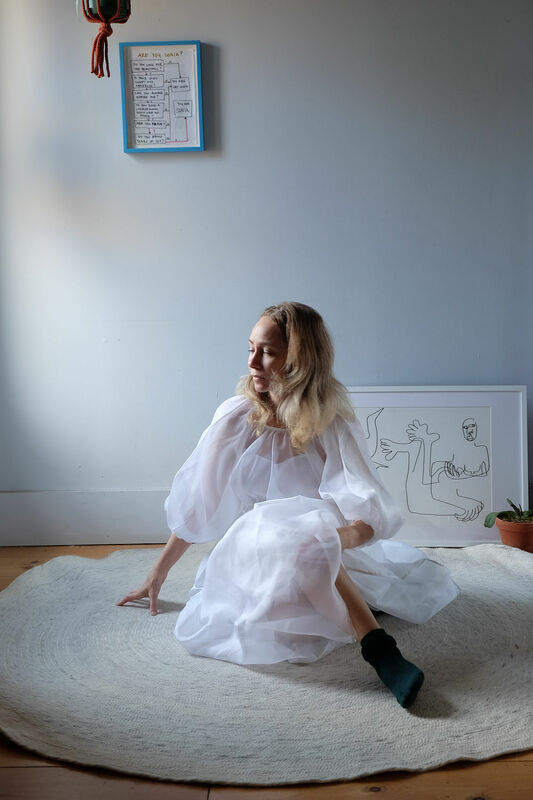 A: I think story telling is a vital part of being an artist – even if the story the passer-by on the street takes away is completely different from the one I envisaged, the hope is always to evoke a sense of a reality beyond the one we exist within. 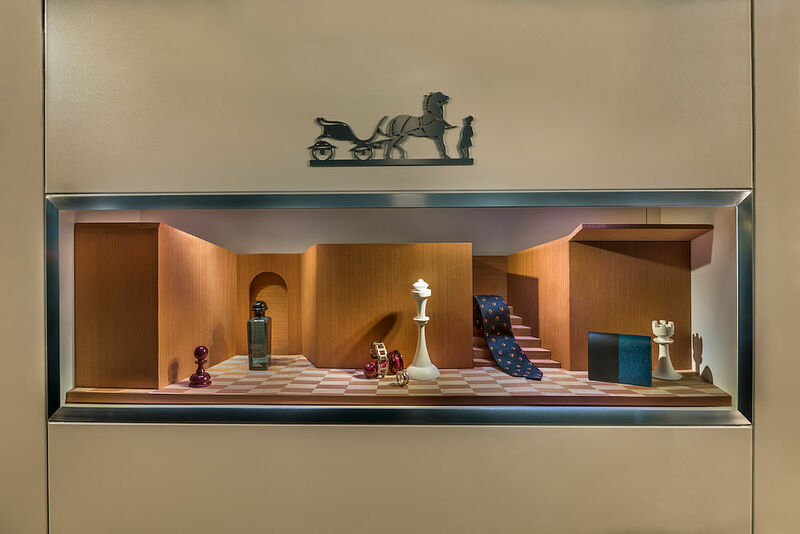 The small child who stood in front of that doll house never dreamed that one day they would build a house for Hermès and yet there it is – possibility is a wonderful thing.